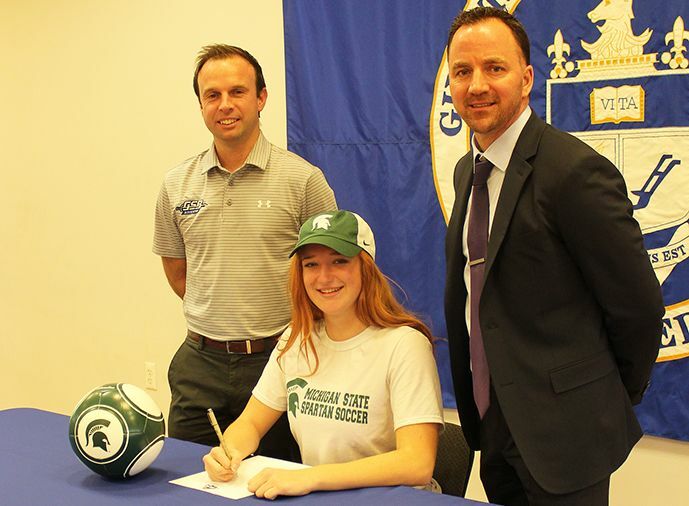 Congratulations to Ava Diggins, who signed a National Letter of Intent to play soccer for Michigan State next fall. The senior first announced her intention to play for the Big Ten university last winter, and now she has made it official. At Gill, Diggins has been a four-year contributor to varsity soccer, anchoring the team’s defense. She is dominant in the air, both on defense and offense, and many of her career 11 goals with the Knights have been headers from corner kicks. This past fall, she helped the Knights to 13-6-1 record and was designated a top-20 defender by NJ.com. Her post season honors included 1st Team All-State (Non-Public), All-Conference and All-Prep B. In her junior season, Diggins was named a player to watch by MSG network. She was a team captain in both her junior and senior seasons. 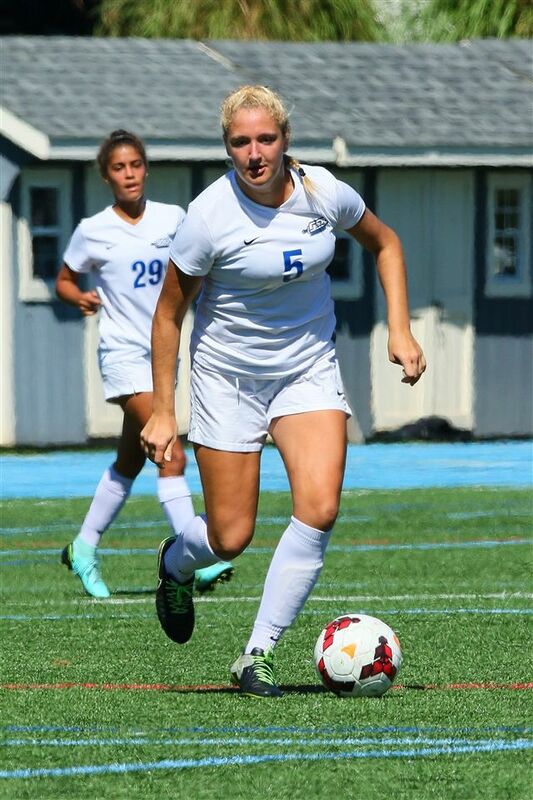 In addition to playing for the Knights, Diggins competes with the Players Development Academy (PDA) in Somerset, New Jersey, and helped lead the squad to the CASL Championship, and Jefferson Cup Championship. 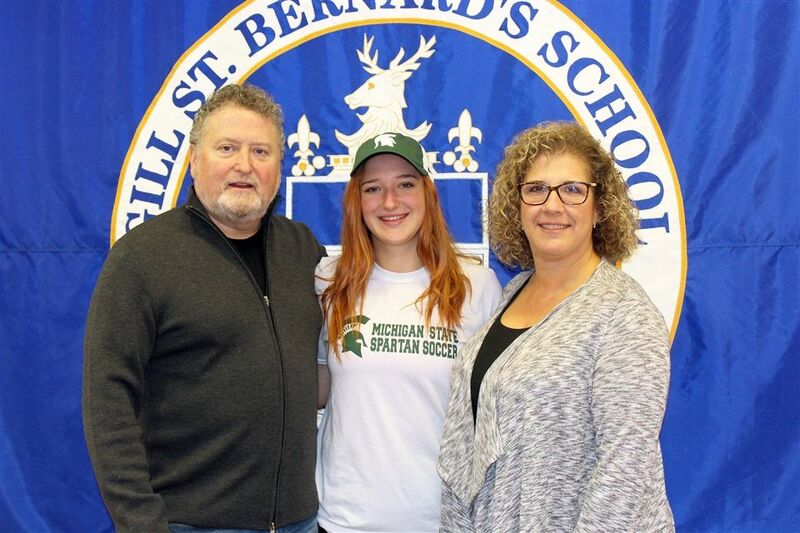 Outside of soccer, she is a four-year honor roll student and is also a member of the indoor track & field team and the lacrosse team at Gill St. Bernard’s.